After 30 Levels of play over three days we have a champion of Event #26; William Haydon. 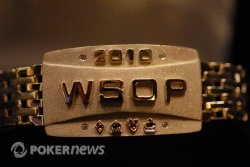 On Day 1, 1,245 players packed into the Pavilion Room with hopes that they would be sitting at the final table playing for a gold bracelet and the first-place prize. 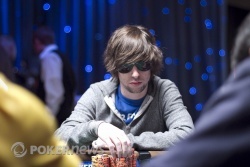 Haydon was the chip leader of after Day 1 and seemingly never looked back. The former UC Davis golf player played extremely well throughout the past two days, picking his spots while always maintaining one of the bigger stacks in the room. 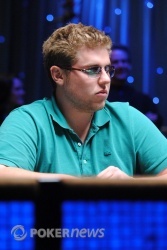 Haydon's first and only other cash at the WSOP came during last year's Main Event where he took home over $30,000. 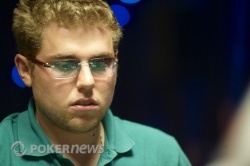 Today, the professional poker player from San Francisco, California has recorded his biggest live cash for $630,031. 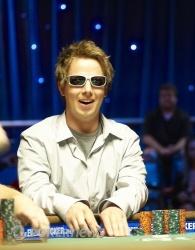 Congratulations are in order for William Haydon the winner of Event #26 of the 2010 World Series of Poker! Just a handful of hands into heads-up play, the big all-in confrontation occurred. Jeffrey Papola had been shoving in a few times, but William Haydon could never find a hand he wanted to make the call with, until this last time. Papola moved all in with the and Haydon called him with the , having him dominated. The flop came down and there wasn't much there for Papola, who was pushed further out the door. The turn card was the and then the river card completed the board with the . There was a few moments of silence before anyone even moved when they all realized what had just happened: Haydon won a bracelet and Papola finished in second place. 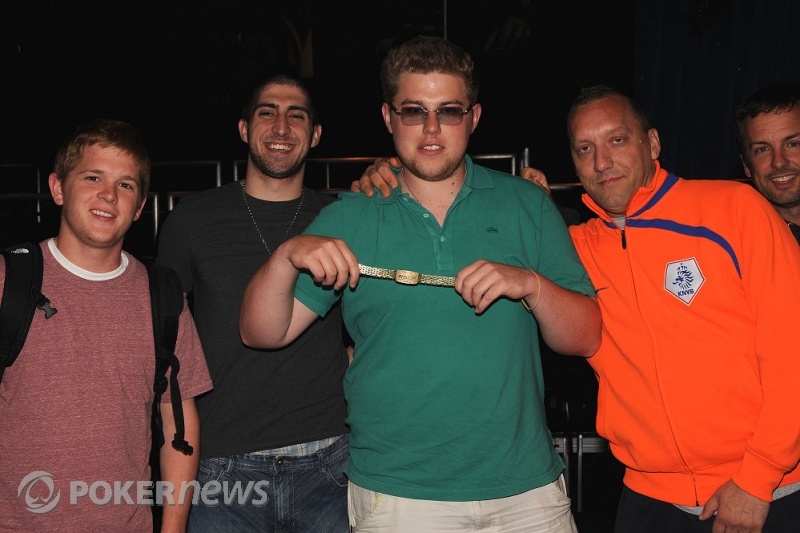 Papola earned himself $391,068 for his finish while Haydon conquered Event No. 26. Joe Baldwin - 3rd Place. Action folded to William Haydon in the small blind who shoved all in. Joe Baldwin called and the hands were turned up. "Ace!" Joe Elpayaa yelled from the rail. Elpayaa's request was granted when the flop fell . The on the turn was an even greater disaster, now Baldwin only had one out; the . It wasn't to be as the fell on the river, eliminating Baldwin in 3rd place. He'll go collect $248,265 for his efforts and Haydon is now heads up for the bracelet. All three players saw a flop of for the minimum. On the flop, William Haydon fired 180,000 and only Papola called. The river completed the board with the and Haydon fired 345,000. After another long tank, Papola mucked his hand. We've now successfully played two hands in 20 minutes. When this hand began, the clock read just over 30 minutes. When it finished, the clock read 18 minutes, meaning this one hand took 12 minutes. What took so long? Well, we'll show you. William Haydon raised from the small blind to 245,000. Joe Baldwin called from the big blind and the two took a flop of . Haydon fired 265,000 and Baldwin called after a little bit of a tank. The turn card brought the and Haydon moved all in. Baldwin had roughly 1.4 million in chips and he was shoving in more than that to put Baldwin to the test. Baldwin went into the tank again, this time for over seven minutes! As we watched the clock tick away, Haydon sat waiting patiently and playing with his stack of three million or so chips. Eventually, Baldwin folded and Haydon was pushed the pot. At this rate, we may see six hands this level.